It is not easy for businesses or professionals to hire SEO freelancers for various SEO projects. If you are not aware of SEO then it is not easy to judge if the freelancer who is asking for the work is genuine/have knowledge or not. 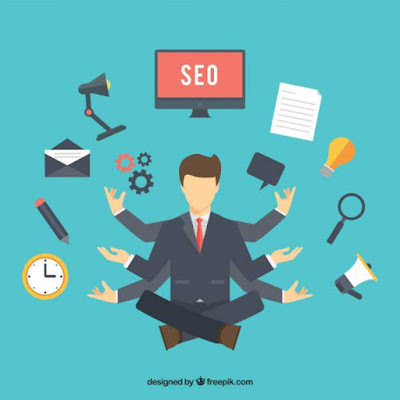 If you are also one of those who are looking to hire freelance SEO`s then you should ask these questions when interviewing an SEO. These questions also help to make the interview more conversational. You should not jump for the correct answer, but you should test if the knowledge they are showing to deliver the answer is accurate or not. No matter you are hiring a freelancer on Fiverr or on some other sites, you must ask these questions. Without wasting more time let`s see, what are these questions to fire a SEO freelancer on the basis of their knowledge. 1) What is SEO for you? They may seem the very basic question, but you know if a candidate not able to deliver the basic solution how can he/she deliver results for the whole project. 2) How you have learned SEO? This question will help you to test if the freelancer or candidate has some real knowledge about SEO or he has just gone through some crappy tutorials available online. This question will help you to find out if the candidate is actually passionate about his work or not. You will know if he/she actually dedicate time to learn updates of SEO or they are working with outdated strategies. 4) What is a successful SEO campaign? This will help you to understand if freelancer understands what you are asking about. Let him go beyond the tops search engine rankings. 5) What is the thin life which make the Black Hat SEO and White hat SEO different from each other? When doing SEO, every professional do in his own way and set his/her own guidelines which he never cross. This question will help to find out if he falls under the category of White Hat or Black Hat SEO. 6) Why Search engines are important? You should not stick with one search engine only. Ask this question to know if he is familiar with most of the popular search engines such as Baidu, Yandex and DuckDuckgo. 7) What you do to optimize for search engines other than Google? This will help you to understand if SEO Freelancer understands the difference between algorithms of different search engines. He should be able to tell how all search engine are well. He should also highlight issues which he should take care of when doing search engine optimization. 8) Explain Domain Authority and how it affects SEO? This question make the SEO freelancer tells you about how he works to improve the domain authority and how he uses the domain authority to tell search engines the quality of site or blog. Ask him about latest Google updates to find out, if he is updated with the changes in Google algorithms and understand how to fix the issues. 10) What are the regular SERP features? Ask to know if the SEO candidates aware about the fact that search engines are not just the set of paid links. Carousels, answer boxes, local search results and many other are important factors of search engine results. Also ask how these factors impact SEP.
11) What should be the Good percentage of search engine traffic or organic traffic? Ask a general idea about the good percentage of organic traffic that a blog or website should receive. This will help to know if candidate understand the organic search traffic and traffic from various resources. 12) What are the most important On-Page optimization factors? Every SEO professional has different priorities and set different rules for his work. This will help you understand what the candidate finds important is actually important from the point of your business or not. 13) What are the most important off-page optimization factors? This works also as the above question, but here you will find out if SEO freelancer understands the non-SEO factors and how well he can do off-page optimization. 14) What are the on-page SEO factors which people think are important but in reality they are not? This is a really controversial question. Here you should focus on the opinion about the On page ranking factors which are losing their role in search engine ranking. 15) What are the Off-page SEO factors which people think are important but in reality they are not? This is a really controversial question. Here you should focus on the opinion about the Off page ranking factors which are losing their role in search engine ranking. 16) What are the Very Common SEO mistakes? Focus on the SEO mistakes or bad SEO practices. Digg deep inside the mind of SEO candidate and find out if his knowledge is not only about on-page, off page but he also knows about what should do and not to do in SEO. 17) What is the value of links in SEO campaigns? Make sure that the freelancer is talking about all internal, external, inbound and outbound links. He should also talk about how search engine algorithms count them. Check is he focus on quality or quantity. 18) Why tags are important and why you use Title tag, description tag and keywords tag? Ask him if he uses Meta tags and why he use title, description and keywords tag. Also ask about the length. 19) What is duplicate content and how it affects search engine ranking? Ask this question to find out if understand the issues of duplicate content and how he can fix them. Also, if he is aware about the search engine penalties for copy content or not. 20) Do you think that exact match domain and important, if yes, then how and why? Ask him about the impact of exact match domain in search results. Though there is no high impact of exact match domains in search still there are other benefits that SEO freelancer should elaborate. Read More : How Long Will a SEO Strategy Need to Take Effect? 21) What is sub-folder and sub-domain? How they are different and how search engines give value to these factors? Every SEO candidate should be aware of these terms. He/should not only tell what they are but should also explains the difference and how search engines give value to these factors. 22) How to make the URL SEO friendly and it`s benefits? SEO person should explain the difference between non-SEO and SEO URLs and how search engines give value to them. 23) How redirection and broken links impact seo optimization? You should ask the how, when and why redirection is necessary. Also ask how search engines deal with these factors. 24) What is crawl rate and why it is important? Ask about the tools and strategies SEO candidate uses to review crawl rate of a website or blog and also should be able to explain why crawl rate is important. 25) How Google indexed pages of your site or blog and why it is important? A good SEO candidate always knows how Google index pages and why it is important for SEO. 26) How to get a page indexed in Google? Ask this question to know what to do when some of your pages are not indexed in Google and if the person is aware about spiders, indexing etc. 27) How many times you should update a page for SEO? Find out that how many times candidate rechecks the page and when he believes the page should be updated. Also find out what is the strategy behind the updation. 28) After updation, How long it will take the search engine to update the changes in search results? The best answer is that it differs from site to site. 29) Why you do not want to show some pages in search results? and How to exclude pages from search results? SEO freelancer or full time candidate should be able to tell the difference between important and non-important pages. He should be able to tell the type of pages that should not be indexed in search results and if indexed then how to get them removed. 30) Why Mobile friendliness is important for SEO? SEO freelancer should be able to tell the reason behind mobile friendliness and how it impact digital marketing. 31) Explain various mobile site configurations? Let the candidate explains about various mobile site configurations and search engines prefer mobile friendly websites or blogs. 32) On a scale of 1 to 10, rate the importance of site speed? Let him explain why site speed is important. 33) On a scale of 1 to 10, rate the importance of HTTPS? Let him explains about all the different types of SSL certificates, installation and impact on SEO. 34) On a scale of 1 to 10, rate the importance of HTML & CSS validation? Let him explains about the importance of clean coding and how good HTML & CSS code help to rank higher or optimize site for SEO. 35) What is .htaccess file and it`s use? Ask him about the various uses of .htaccess file. 36) What is robots.txt file and it`s use? 37) Do PPC have any impact on SEO? Let him explains about the PPC and it`s impact on SEO. Still most of the SEO`s do not agree that PPC has any impact on SEO. 38) Why Google Penalize a site? Digg deep in his mind and find out if he is aware of various Google algorithms and their impacts on organic results. Also find out if he is able to fix the site to save it from any penalty. 39) Other than Google algorithms what are the major factors that Google count when ranking a website or blog? Find out if he actually have some creative ideas to make the site rank higher in Google search and if he understand the purpose of algorithms. 40) Other than SEO, what are the major factors that attract high top engine ranking? Find out is the SEO candidate is able to see the Big Picture of digital marketing or still struggling at the basic levels of SEO. 41) What is the best way to understand what your client/customer wants from you? SEO candidate should not only stick to ranking but he should be able to think beyond it. He should be able to understand the customer signals. 42) What are the LSI keywords and how to use them to optimize the content? Candidate should be able to tell how he research the keywords, use them, add LSI keywords and hoe to maintain the keyword density. 43) Between Long-tail and Short-tail, what is more effective for a business? When it come sot keywords both long tail and short-tail keywords have their own values. SEO freelancer or candidate should be able to explain why and how these are important. 44) What is the best CMS and why? Now it is the time that you should find out if the person is familiar with content management system or not. Ask him about the pros and cons of content management system. 45) How SEO will change in next 5 years? Ask him about what changes are going in SEO industry and how SEO will change or adopt new shape in next 5 years. You need a deal breaker answer. These are the most effective question that not only help you to find a better SEO candidate or SEO freelancer but also help you to find out how knowledgeable you are about SEO. if you think I missed some questions, do share the questions in comments. Do you like what you read here? Don`t forget to share on Facebook, twitter or Google Plus.